August- February Closed on Sunday! 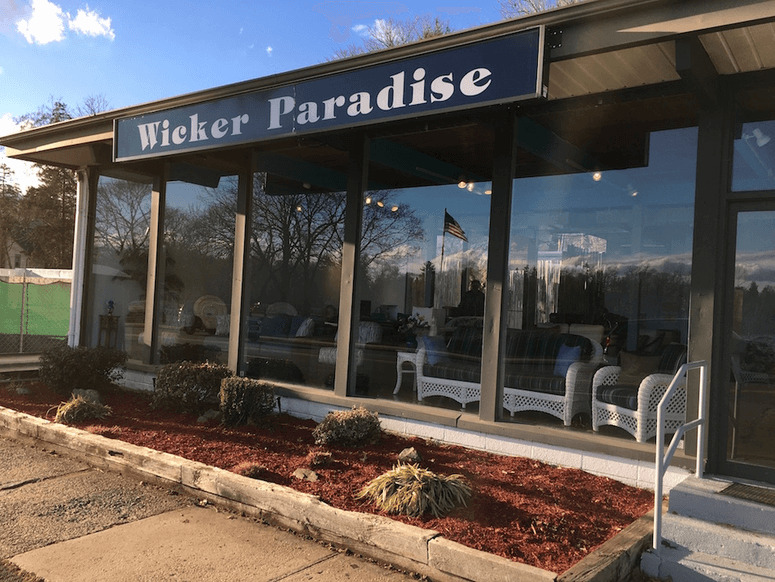 In 1982, I opened Wicker Paradise in a 600-square-foot store in Westchester County, NY (20 minutes from New York City). Since our inception, we have been dedicated to providing a superior rattan and wicker furniture for sale at value pricing with unsurpassed customer service. Today we are proud to be a third-generation family-owned-and-operated business. As a result of our success and determination, we have grown to a showroom with over 3,000 square feet and an extensive network of warehouses full of our indoor and outdoor wicker patio furniture. Our many years of expertise and knowledge in selecting wicker, rattan and seagrass furniture is your guarantee of quality furniture that you will be proud to own for many years. 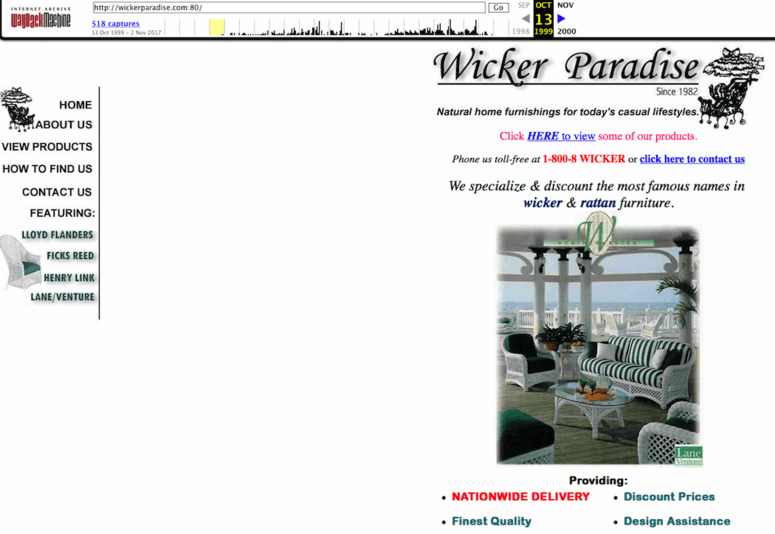 My family, associates, and I look forward to the opportunity of serving you and for you to discover why Wicker Paradise is where the smart shopper can buy wicker furniture online -- from wicker bedroom sets to replacement cushions! Not every item on our website is on display, please call Wicker Paradise (800) 894-2537 before coming to the store to make sure that the items you are interested in are on the floor. WickerParadise.com was created in October 1999 (picture of our original website below) and we have been shipping free NATIONWIDE with an easy to shop store right from your computer. We have served thousands of customers and provided them with great quality furniture at discount prices and continue to do so this day!